This must be one of the older vegetable around. Bendi in Malay, Okra or scientifically known as Abelmoschus esculentus is a fruit type of vegetable. 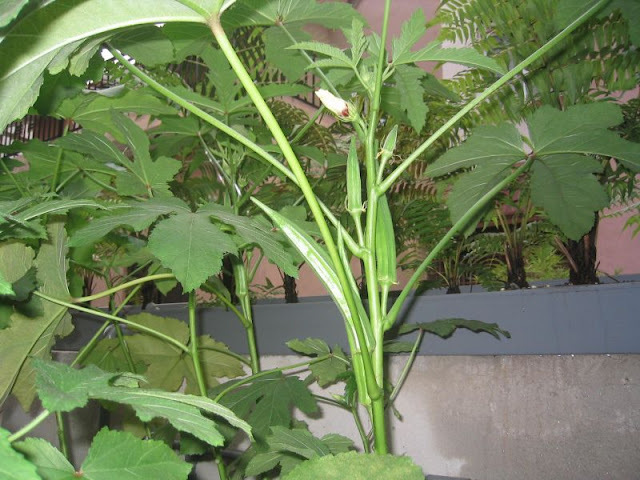 I grow okra from seeds and it takes about 2 days to germinate. I recommend to soak the seeds in water to accelerate germination, in Aquaponics this can be done by raising water level. 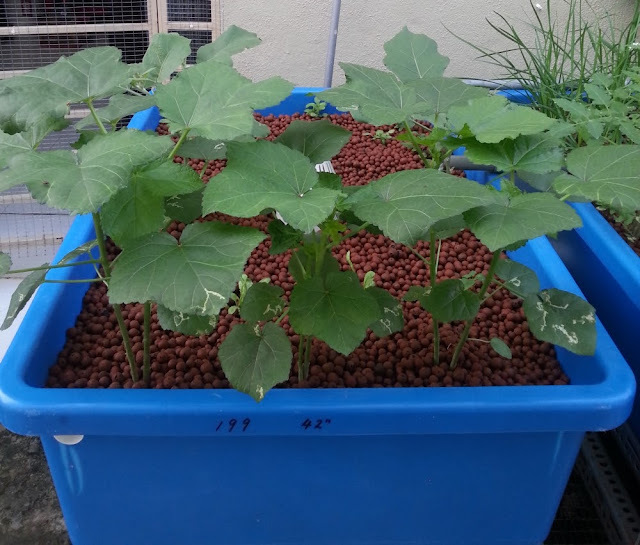 Its best to sow direct to growbed, its don't do well if transplanted. 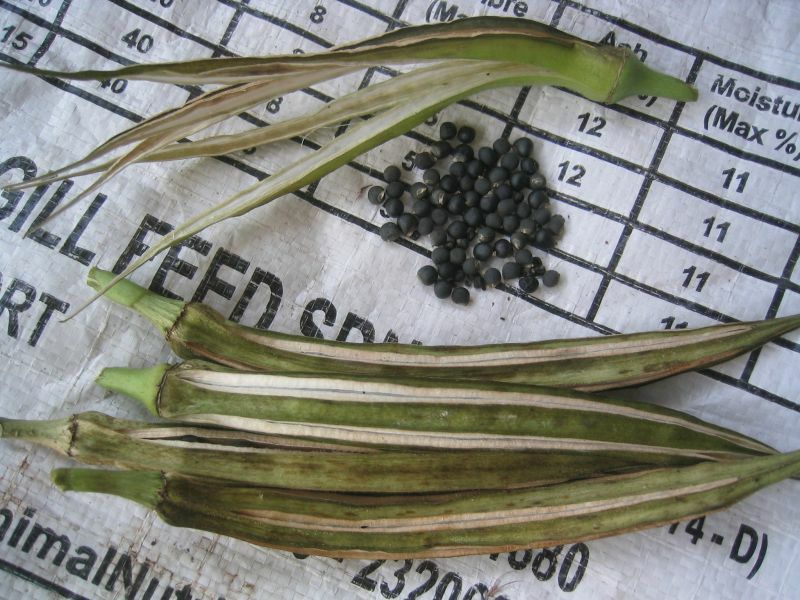 Recommended to place 3 seed close together and have about 15 inches space between cluster. Once they about 5 ~ 6 inches tall trim to leave only one. It took around 45 ~ 50 days for it to produce flower and another 7 ~ 10 days to pick. If left for too long it may turn hard and fibrous. Okra can get very tall about 7 ~ 9 ft high, with such a tall plant strong wind and rain could cause problem. 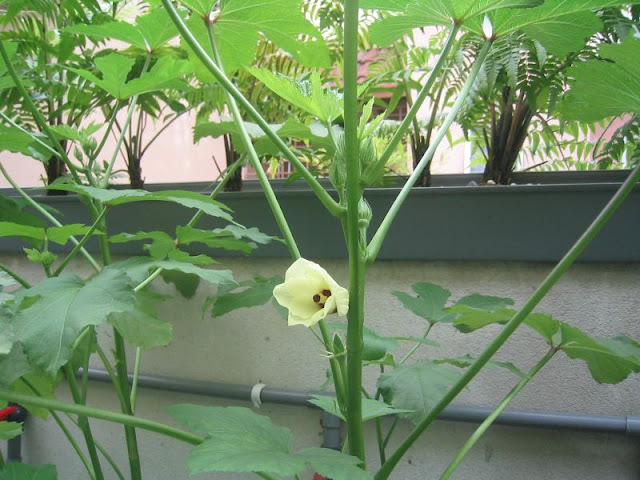 My Okra plant are easily blown down, I guess it advisable to provide support of some kind to ensure it don't fall. 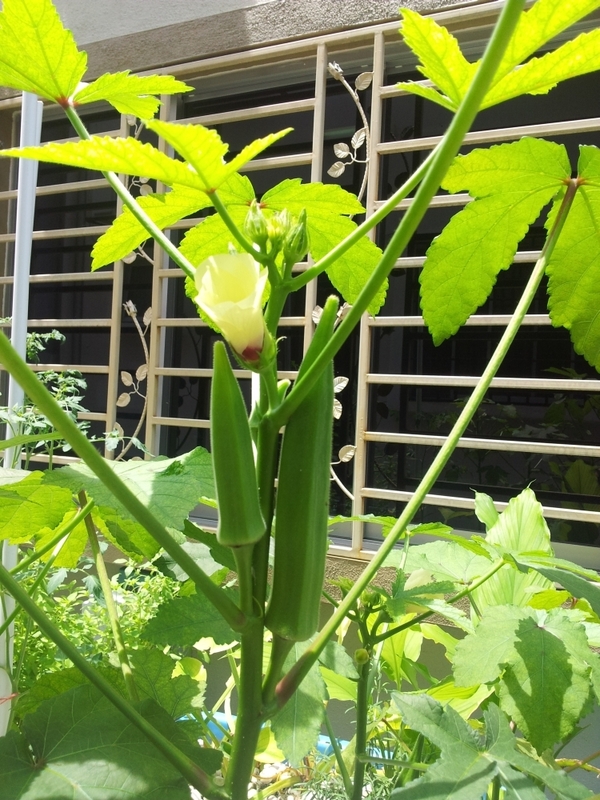 Okra seed are easily obtain from packed seed found at supermarkets, I obtained mine this way and once they produce fruits reserve some for seeds. On average once it reach height of about 7 feet then it about time to replant. 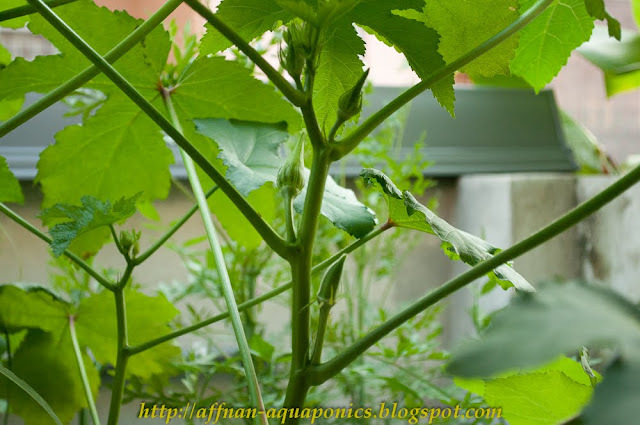 That about it on Okra, this fruiting vegetable is easily grown and its a healthy food due to its nutritional content and fibrous skin. Loh KK thanks for your comments, most of the time I have seen Okra grown outdoor without any shade in open fields. 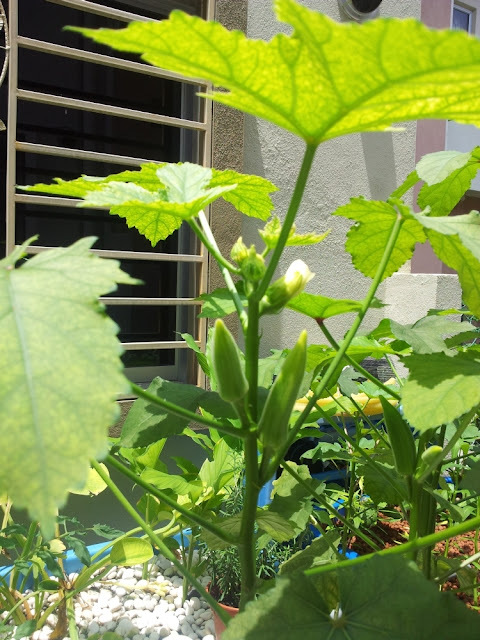 Therefore this plant can tolerate high heat and sunlight, my backyard has about 50% daylight due to close to adjacent building, they grow without problem. Indoor, I never tried it. you can always use artificial lightings as a substitute. Little sunlight may not be good for this plant. Im growing Star of David and Red Okra. Any tips? 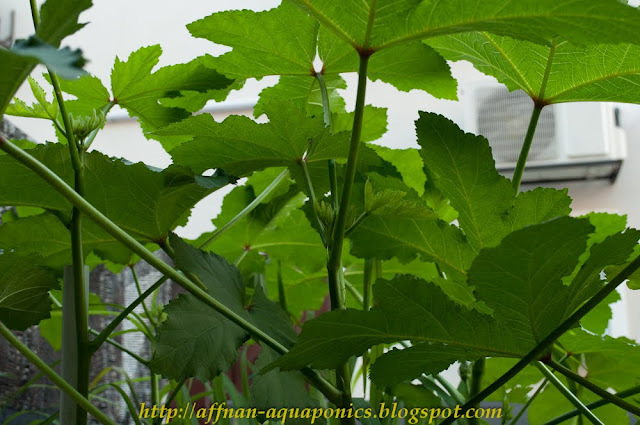 Nothing special needed for Okra, just ensure you have good drainage and if needed use a bit of chicken manure base fertilizer that you can buy at supermarkets or plant nursery. Hi Dana, thanks for the info.